Want to record Minecraft gameplay? Minecraft is a sandbox video game developed and published by Mojang. The creative and building aspects of Minecraft allow players to build with a variety of different cubes in a 3D procedurally generated world. Other activities in the game include exploration, resource gathering, crafting, and combat. 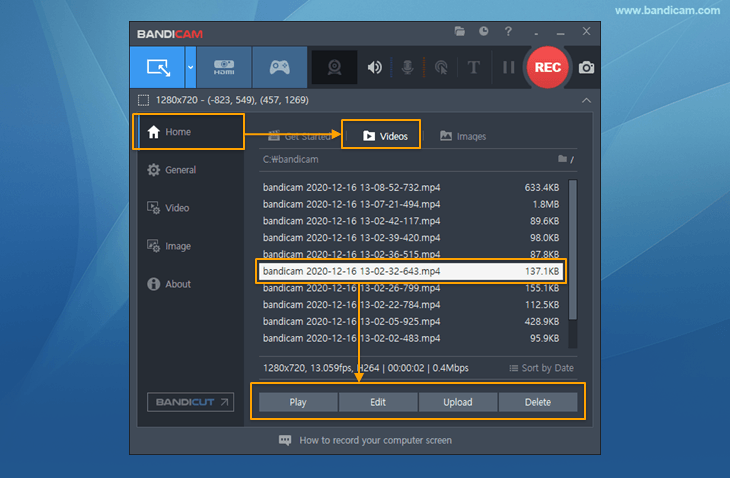 This video was uploaded after being recorded by Bandicam without converting. Start Minecraft game to record. 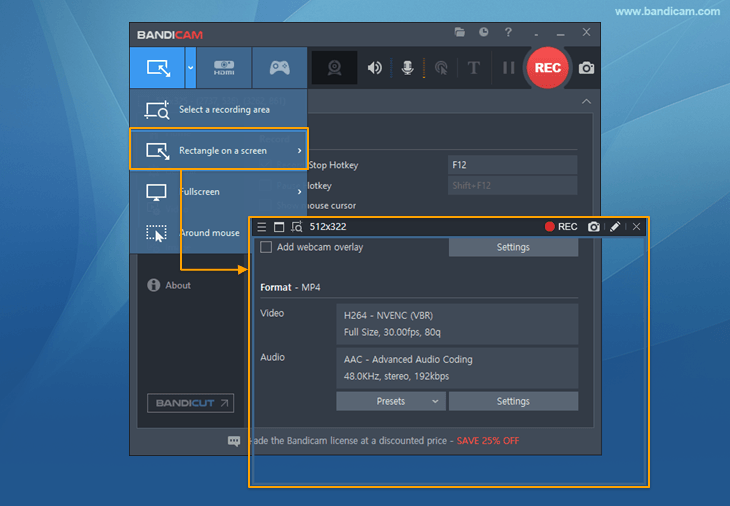 You can control the FPS (Frames per second) under the 'FPS' tab of Bandicam. Note: Only when the target runs with DirectX/OpenGL technology, will the green number (FPS) be shown. I can't see the green FPS number in Minecraft. 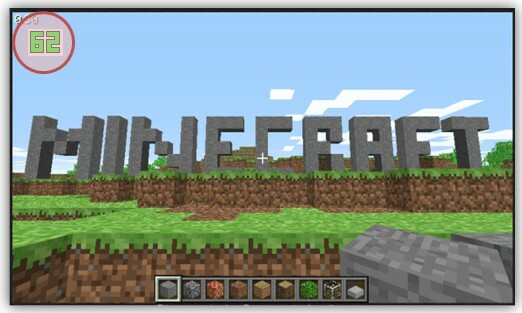 Are you trying to record Minecraft in Microsoft Store? To record Minecraft in "Microsoft Store (Windows Store)", start Bandicam -> General -> Advanced -> and check the "Windows Apps (UWP)" option. If you still can't see the green FPS in Minecraft, install old versions of Java or 32-bit version of Java. You may go to https://www.java.com/en/download/manual.jsp to download/install 32-bit version of Java. If you still can't record Minecraft with 'Game Recording' mode, try 'Screen Recording' mode. How to reduce Minecraft lag, increase FPS? 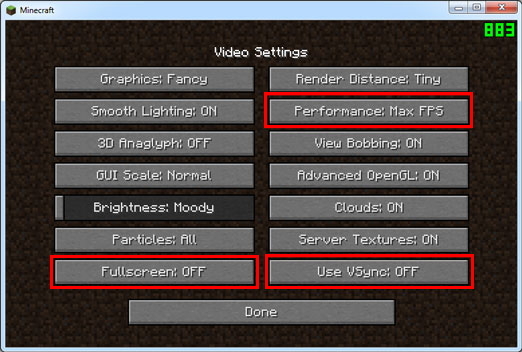 Go to the Video Settings menu of Minecraft, and then choose "Fullscreen: OFF, Performance: Max FPS" and "Use VSync: OFF" option. Play the Minecraft in windowed mode, and reduce the game/Window size. 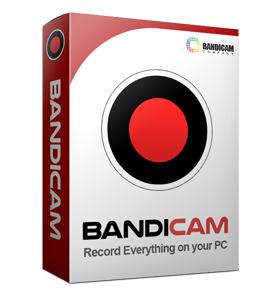 If you still have the problem, play Minecraft in windowed mode, and try 'Screen Recording' mode of Bandicam.